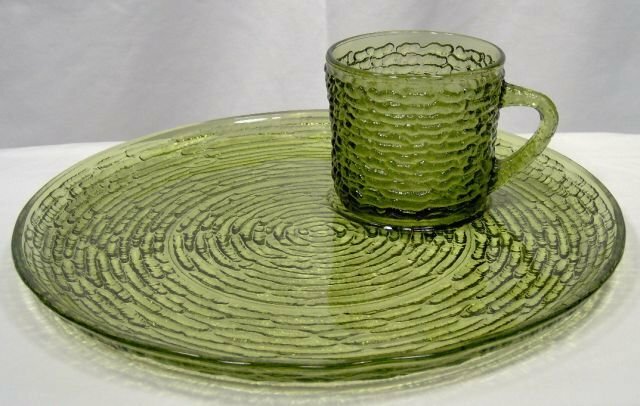 This Anchor Hocking Soreno avocado snack set is in very good condition. It has no chips or cracks and very few untensil marks. The plate is just under 10 inches in diameter. The mug is about 2.5 inches high and 3 inches in diameter.